Powerful Thinking can get you there. 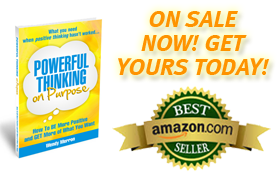 Powerful Thinking on Purpose provides you with the tools you need to STOP the Self-Sabotage Cycle of your negative thoughts. 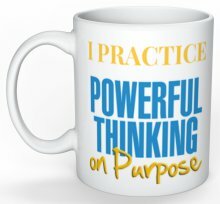 Powerful Thinking teaches you step-by-step, how to attract the love you want, the career you want, and most important – to enjoy your life by creating new thought patterns. “I was driving in my car and realized I never thanked you. I’ve only gained momentum since we met. I’ve really stuck with it and worked at it, and consciously take time every day to do so. I think that is why it’s made such a difference. My real estate business exploded in the last 12 months. I moved downtown to center city and I’ve done an extraordinary amount of real estate sales while building my development projects. HOW LIMITING BELIEFS AFFECT YOUR LIFE. Almost everyone has these thoughts. When they get in your way, we call them “limiting beliefs”. To be successful and live the life you desire, you MUST find a way to either neutralize, eliminate, or overcome your limiting beliefs. Limiting beliefs are the major cause of keeping you stuck where you are. 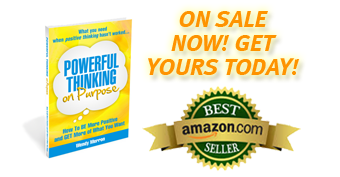 Powerful Thinking shows you how to overcome any limiting belief – easily and quickly. You already know that to be successful you need to get over limiting beliefs that have been holding you back. When you become a powerful thinker, you will unleash the power of the Law of Attraction to change your life. The results are a quantum leap ahead of positive thinking. If you aren’t where you want to be right now, Powerful Thinking will get you there.